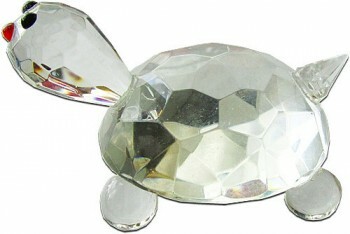 For those who love delicate elegance, crystal figurines are a draw at any art fair. One can typically find an exquisite collection of animals, landmarks, instruments, flora and people. Crystal is glass to which sand, soda ash and limestone is added. Additionally, there is up to 24% of lead added to the glass which is what adds the brilliance and weight to the glass and makes it crystal. Lead also makes the glass more malleable for cutting into crystal figurines. Colors such as pink, lilac, lavender, red, blue and green can be added to the crystal to lend detail to the figurine. Copyright 2019 Your Crafts Fair Ltd.